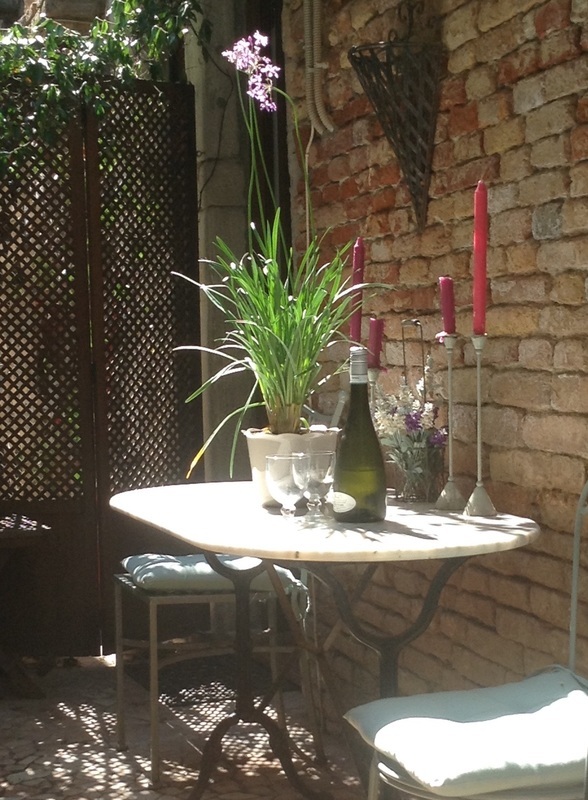 Piccola Perla is a charming apartment, ideally located in the San Antonin area of Castello in Venice, perhaps the world's most beautiful city. Ten minutes walk from St Mark's Square. San Antonin is easily accessible from the vaporetto (water-bus) stops at Arsenale or San Zaccaria. Water taxi can disembark at Ponte San Antonin. 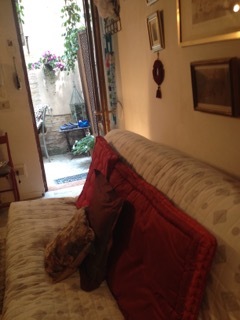 The two-roomed Venice apartment has its own external door leading from the ramo, a quiet lane. This opens into the apartment's private courtyard. The original building dates from the 16th Century. 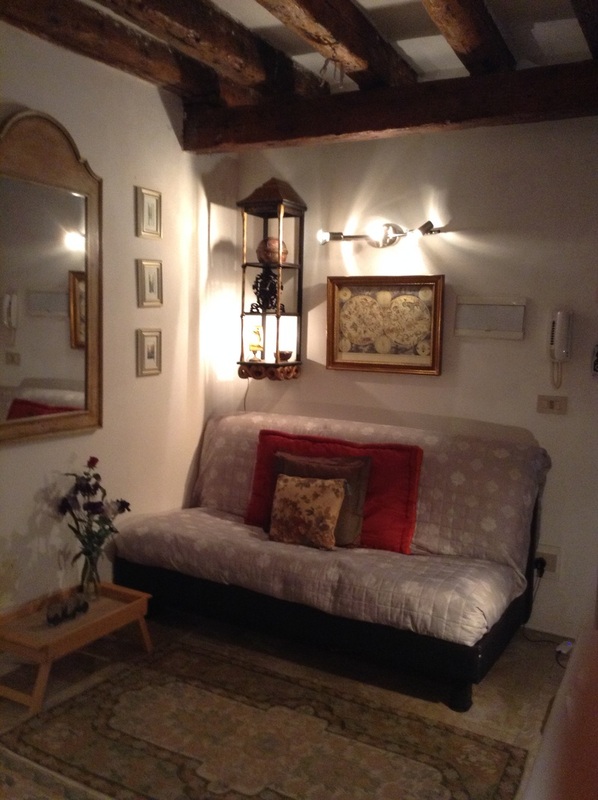 The restored apartment is enhanced by marble floors and the original beams. Perfect for two people taking a romantic or cultural holiday; the king size sofa bed in the sitting room can be used if children stay, or friends prefer their own bed.The private courtyard, where you can sip a complimentary glass of Prosecco, contains an ancient well, now filled with plants. "No one enters Venice as a stranger"
So romantic for couples celebrating - from engagements to golden weddings. 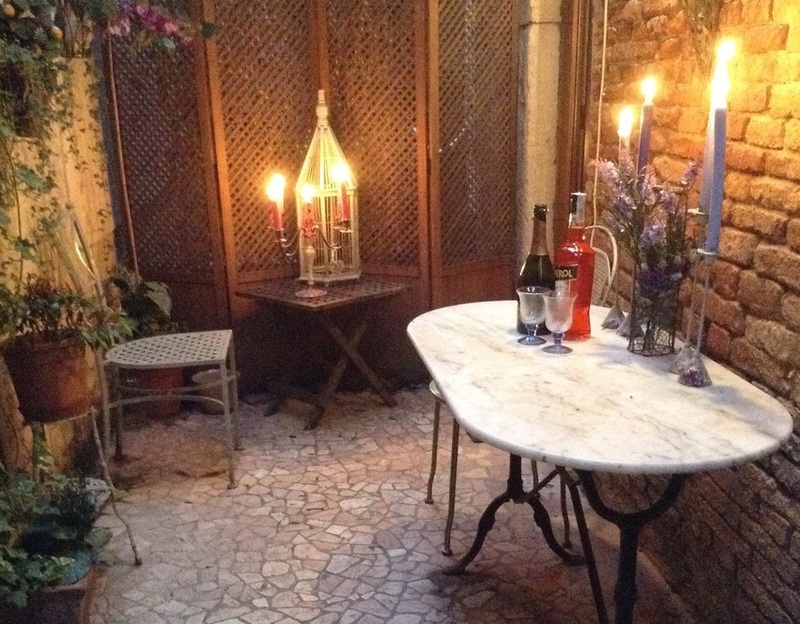 A secret hideaway with a pretty courtyard and rooms decorated in velvet and silk. The cost for 7 nights is £800, while a minimum of 3 nights costs £400. Dates can be flexible. 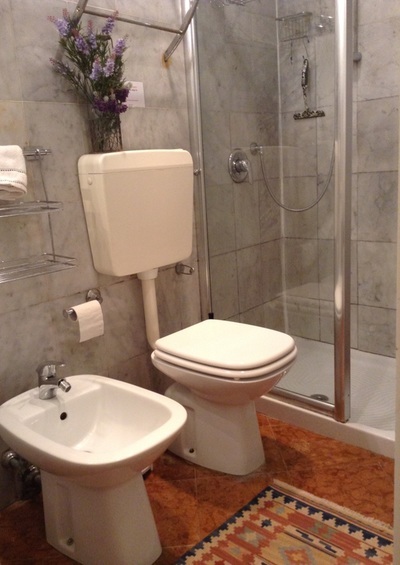 This includes weekly change of linen and towels, maid service at the end of the visit, electricity, hot water and daily rubbish collection. These prices held for the past nine years. 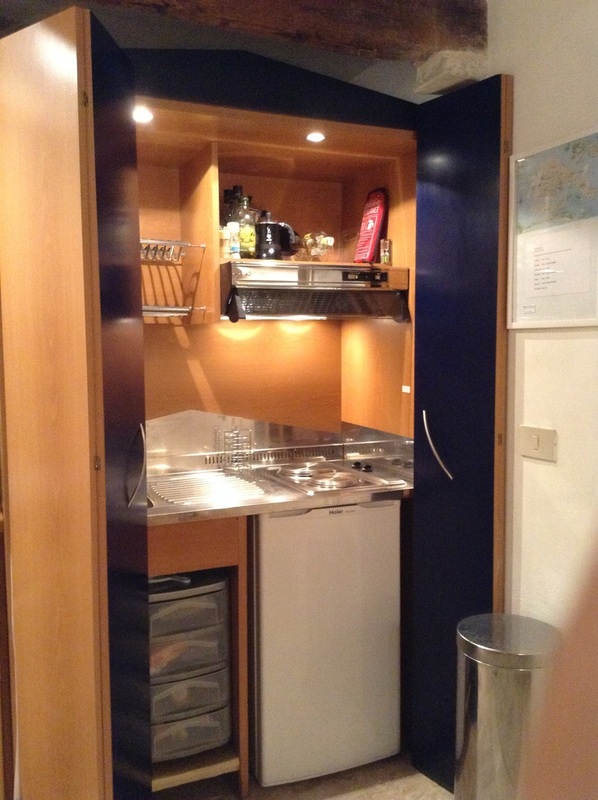 A deposit of £450 (includes £50 returnable security deposit) secures your booking. Carnival, Easter, the first week of the Art Biennale and Christmas have alternate rates. Although minutes from the Riva Degli Schiavoni, and the lagoon, San Antonin is much more the living Venice. Salizzada San Antonin is a wide curved street between Ponte Greci and Campo Bandiera e Moro where you can take your morning coffee at the cafe, Alla Bragora. Local shopping at a small supermarket. A ten-minute stroll to San Marco and the Doge's Palace takes you past the Scuola Di San Giorgio Degli Schiavoni, art galleries, antique jewellers and mask shops where you can see hand-crafted masks being made. Two famous restaurants Al Cova and Corte Sconta are secreted away in San Antonin streets. Are you a fan of Donna Leon's famous detective Brunetti ? Her books bring San Antonin to life as the Questura is nearby at Ponte Greci. Campo Bandiera e Moro is the local square, famous for the church San Giovanni in Bragora, where Vivaldi was baptised. An advantage of staying in the apartment is returning to the cool of the courtyard to eat delicious food from the gourmet deli counter in the local supermarket. Lots of local shops. Useful too when children stay. Good Pizza take-away around the corner in Salizzada San Antonin. Five minutes to the east is the Arsenale, Venice's ancient Renaissance shipyard, hosting two contemporary theatres. Beyond is the Giardini, a peaceful park. Both are famous for the Venice Art Biennale. Wander along the Riva or take the back streets to St Mark's Square and the Doge's Palace. Cross through Castello to the famous market at Rialto. Summer beaches on the Lido island are only two vaporetto stops away. Please contact me after checking availability on the calendar below, by ﻿emailing﻿ enquiries@ourveniceapartment.com or by calling +44 (0)1242 243693. I will send you a booking form and payment can be made by bank transfer or cheque. Click here to read what visitors have said about Piccola Perla. 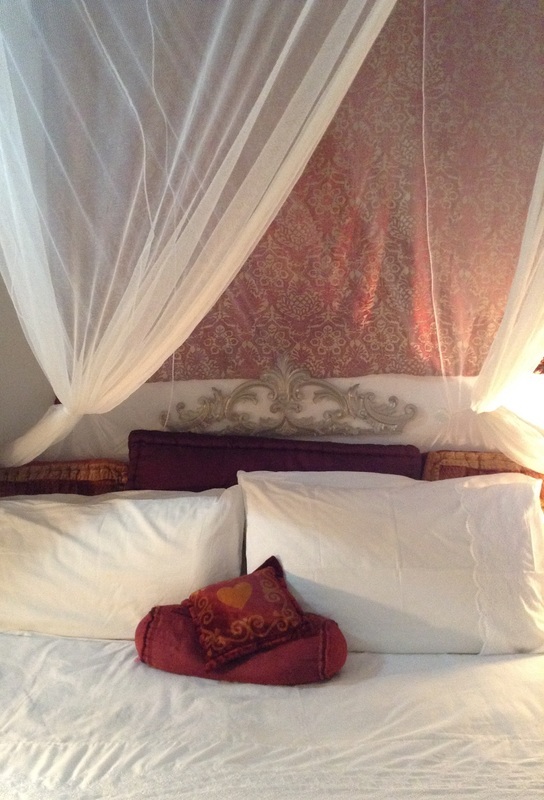 For news, updates and useful tips on staying in Venice, visit the Piccola Perla blog.